Ten year workmanship warranty against defects in workmanship and against labor related to maintaining and managing related manufacturer's warranties on the panels, inverters and electrical and mechanical components of the solar array. As a local New England company, Bay State and Rhode Island Solar Solutions is committed to providing our customers with the most effective solar energy systems available. We strive for exceptional customer satisfaction and service. Bay State and Rhode Island Solar Solutions also works with a network of partners to customize the financing structures to meet your needs and expectations. As a full-service solar provider, we take care of everything for you—design, installation, permitting and maintenance. You’ll only deal with one company throughout the process. And we’re a local business, so you’ll get the face-to-face service you deserve. Our dedicated and highly experienced staff designs, engineers, finances, installs and maintains solar systems for homes and businesses. We handle all permits, rebate processing, and administration providing a simplified solution. Our staff are experts at creating the right financial solutions based on your specific needs. We help ensure that you will receive full advantage of all available government incentives and guide you through the financing options that best suit your objectives. When you couple the proven financial returns of solar energy with the environmental benefits, the case for solar becomes compelling for any residence or business. . 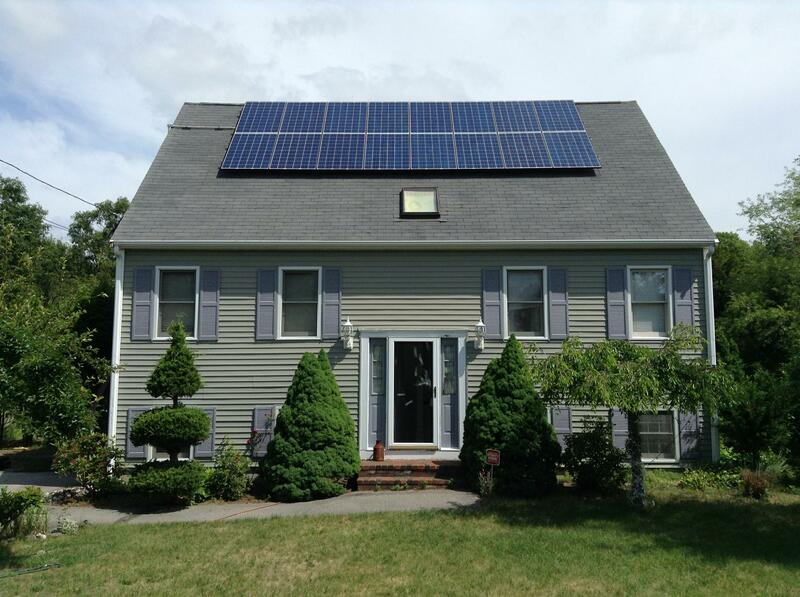 Here is a single-family house in Rochester, MA that converted to solar energy. "Never end bothered to send a quote"
I don't know why they are part of Energy Sage. I kept getting a message that they were "working on a quote." They never sent anything. Great overall experience! Mike and Sarah walked us through every step of the way. Mike made sure that we stayed informed and made us feel like we were a friend of the family. Also, Install team was awesome. 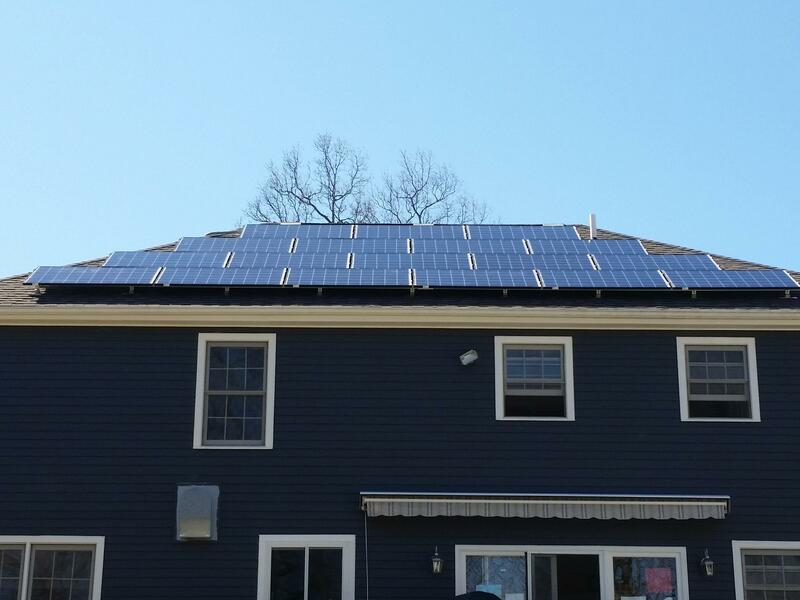 During each stage of our experience, it was clear that Bay State Solar Solutions places a high emphasis of customer satisfaction and they certainly exceeded our expectations. 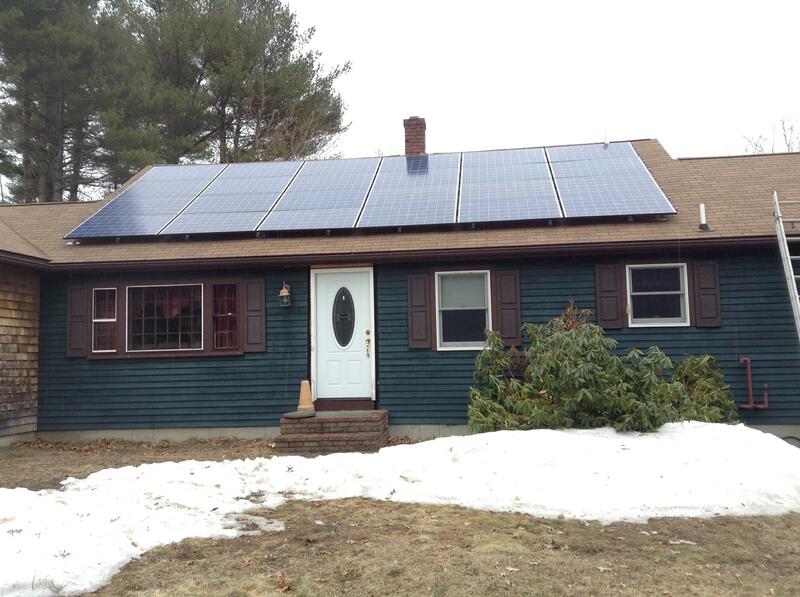 My neighbor Joe got solar from Bay State Solar Solutions and was very happy with the service and quality of work. He introduced me to Mike Goulart from Bay State Solar Solutions and mike came to my home and went over all the details about solar and the incentives that were available to me. He gave me a few options to choose from and suggested which option he thought would be the best for my home and my budget. 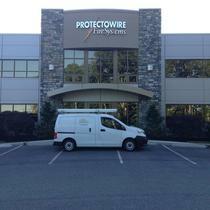 The install crew and office were very helpful through the whole process. 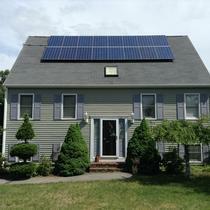 I know I made the right decision choosing Bay State Solar Solutions for my solar needs. I would defiantly recommend them for any solar project you may have. While searching for solar we met with several companies for quotes. Not only was Rhode Island Solar Solutions competitively priced, but they were the most knowledgeable when it came to solar. They took the time to explain to me what it was I was buying, and what programs that were available to me through the state and the government. Everyone from the company was great! From the office people to my sales rep Mike Goulart they kept me up to date on my project at all times and answered all my questions. The install crew was great as well very curious and neat. I would highly recommend anyone interested in solar to check them out before making any decisions on solar!!! Was looking at solar for our home. We are heavy users and needed a solution that would cover as much of our bill as possible All the other companies out there were offering systems on our roof that wouldnt even cover half of our bill. We live in the woods and needed a solution that would take advantage of the most sunlight. We were lucky to be refereed to Rhode Island Solar Solutions by a friend of ours. They had this tracker that follows the sun and wouldnt need to go on our roof. It also produces more energy than our roof would have since it follows the sun. With the incentives and tax breaks this was a no brainier and since they were one of the only authorized dealers in the area this made it a easy choice for us. The whole process from sales to the install went seamless and we are enjoying clean green energy. I would highly recommend Rhode Island Solar Solutions to anyone that is interested in solar. We've been committed to a green life since building our home:geothermal heating/cooling system and hybrid gas/electric cars. While there was an interest for solar energy, we were never certain this would be a worthwhile investment. Well, a conversation at work led to an exchange of green experiences and eventually a phone call with Mike, the sales rep at Bay State Solar Solutions.  Mike was sensitive to my hesitations and earned my trust to schedule a site review. During this review, my hesitations gave way to his industry knowledge and experience. I quickly discovered my home was perfectly suited for harnessing the sun's energy. After learning of my municipal energy company' solar rebate program, the available federal tax credits, really low project financing, and a program which provides quarterly dividends for every megawatt-hour of solar electricity created, my wife couldn't hold me back. I wanted a solar system and I wanted it now! Once we got underway, installation was a breeze and within three months my electricity bills dropped from $450 to $75 per month (as if I needed another reason to get this system!). So, how do we plan to top this experience? more panels and a solar powered whole house generator!! I have positive experiences from the date sale representative contacted me and the PV up and running in three months. He was always there ready to answer any questions that I have. Highly recommended, if you are thinking of getting PV system installation. Call MIke at Rhode Island Solar Solutions. 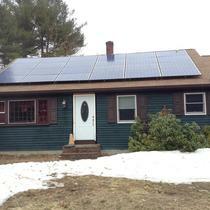 Bay State Solar was very easy to deal with throughout my experience. The salesman Mike Goulart was very professional and easy to get in touch with. My project came out exactly as it was described and the installers did a very clean and professional job. I am looking forward to having years of energy savings. I highly recommend Bay State Solar. Our salesperson, Mike was friendly, knowledgeable and patient. 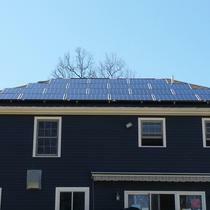 RI Solar Solutions handled all the complex permits, regulations, inspections in a timely fashion. The installation was done efficiently and expertly and the installers were professional, surprisingly unobtrusive and neat. We got our first National Grid production payment directly deposited into our account last week. Haven't received the bill yet but we've begun saving our planet in a new way! Easy going experience if there was a problem Mike handled it quickly and the problem was resolved within the same day. The office staff was very easy to work. The install team came when they said they did and did an awesome job and cleaned up after themselves. Mike always finds the solution to a problem if one comes up. Overall very easy and excellent company to work with. Mike has been very helpful to me during the entire process of my solar project. As a person new to Solar, I have lots of concerns and questions which include benefits, reliability and affordability of Solar. He was able to provide me answers to my satisfaction. I am not at easy person to deal with due to a lot of questions but he was able to deliver all the time. He probably reworked the contract a million times to my satisfaction. He also worked with me on my schedule considering I need to work as well. Mike and the Rhode Island Solar Solutions team made my choice of going to solar a pleasant one. Just as Mike promised, no less than a five star service was provided!!! From start to finish, they did a great job! Very professional and finish the job in a timely manner. Mike Goulart was great to work with and answered all my questions. While looking for solar, Rhode Island Solar Solutions was the one company, that spent the extra time to answer all of my questions. Through the whole process, they were informative and always available for questions. Installation was done when they said it was going to be done and they worked around my buzy schedule. If you are looking for solar, I highly recommend contacting this local company. we contacted Michael Goulart and he came to our home; did a presentation and met with us four or five times and we have a very good experience from the beginning, their price was competitive to other companies out there and on the personal level he was wonderful. We were concerned with the color of the clips and they came and painted them to match the panels. something they did not have to do but did anyways to please us. This is the kind of customer service and personal touch that you get working with Bay State Solar. the communication between us and them was exceptional through out the whole project. 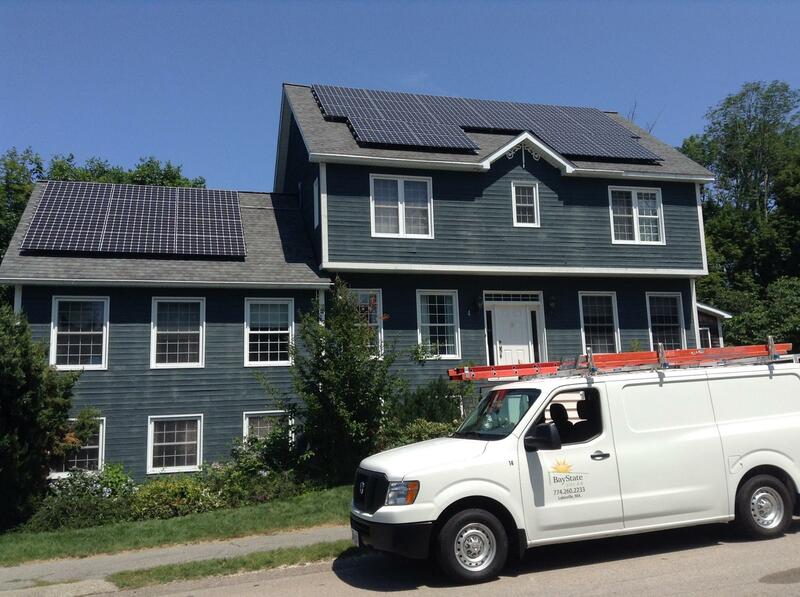 And last but not least we would highly recommend Bay State Solar for your Solar panel experience. Working with BSS was not only a breath of fresh air but a great education in solar! From the start the salesman was courteous and friendly and always had our best interest in hand. By the time any decision had to be made about purchasing we felt like the knowledge and information we had gotten from BSS was second to none. We received multiple quotes from other solar companies and no one matched the experience and continues followup that BSS gave us. The quality of work and professionalism of the installers was something you only get from working with a local well respected company. I would highly recommend BSS for your next solar project. "It's all in the follow up!" I have been looking at installing a solar system in my home for over five years. I have never felt comfortable making the decision because it was so difficult to get the information I needed to make an informed decision. Solar can be a daunting process when trying to wade through questions like, the size of the system required for your energy usage, the credits that are available, should I own or lease, etc. 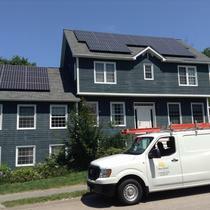 From the outset I felt very confident working with the people at Bay State Solar Solutions. They took the time to answer all my questions and I never felt like I was being pressured to purchase a system. Even after my system was up and running they followed up with me several times to see how things were going and if I needed help with anything. Follow up is important to me and BSSS was there every step of the way. Their team far exceeded my expectation. It is a great feeling to check the app everyday and see how much energy my system produced and how much money I am saving. Why anyone who has the right home for solar would not do this is beyond me. Call Mike Stabb and his incredible team if are serious about putting a system in your home. I am confident you will have the same experience that I did.